Paleo and gluten free Easy Tuna Cakes come together in under 15 minutes and only take 5 minute to cook! 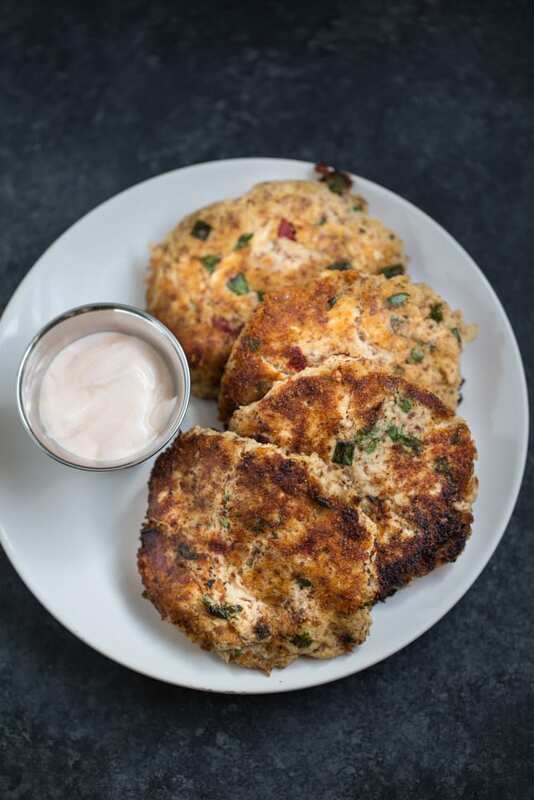 These flavorful tuna cakes can be served as an appetizer or main dish. Make great lunches! These happened because well, albacore tuna packets were BOGO free at the grocery store so I bought that albacore tuna and said YOU WILL NOT END UP AS TUNA SALAD! It seems like the only thing that tuna is used for in my house is tuna salad. Pretty boring, eh? It’s time tuna met a little variety. In a large mixing bowl, combine all ingredients except for olive oil and mix until blended. Form into 4 patties. Place the patties on a plate and then put them in your freezer for 10 minutes to chill. Heat the olive oil over medium high heat in a skillet. Add the chilled tuna cakes and cook 2-3 minutes per side. Place the cooked tuna cakes on a paper towel lined plate after cooking to drain excess oil and then transfer to a serving plate. Serve with your favorite dipping sauce. Adapted from Simply Recipes Tuna Patties. What a fantastic recipe with big bold flavors. Move over crab cakes. Tuna cakes are where it’s at! I’m not even a huge tuna fan, but I would go to town on these… so yummy!! 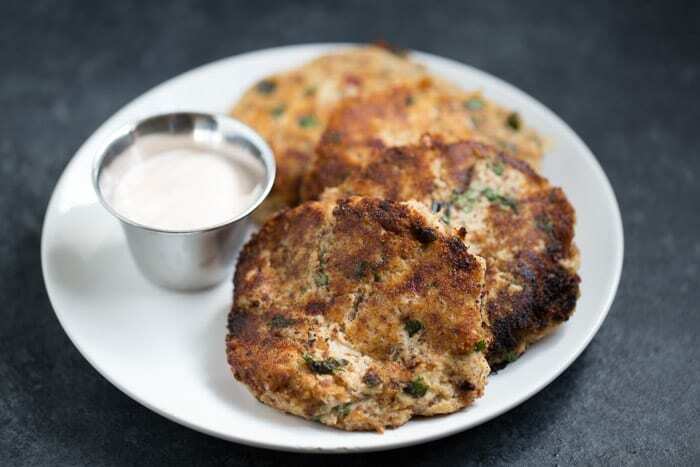 These tuna cakes look yummy! And I like that you used almond meal instead of bread crumbs. I will be making these soon. 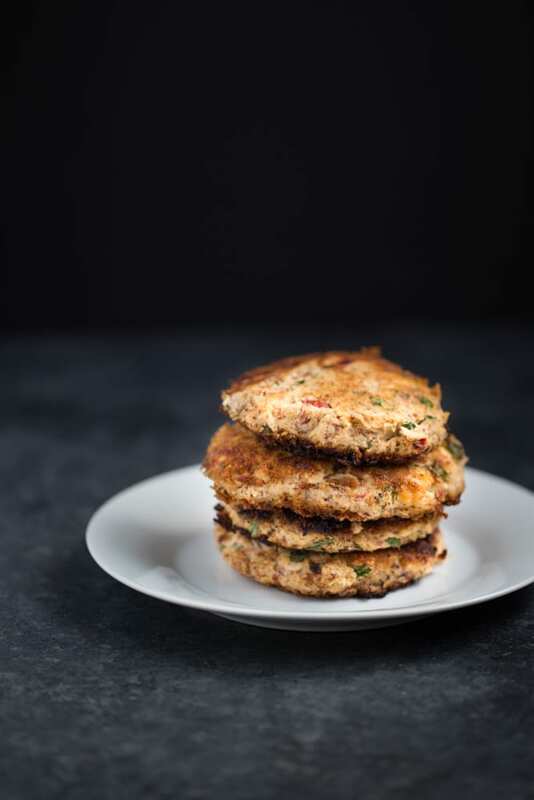 Gluten Free and Paleo Tuna Cakes! Yes Please! I love making tuna fish sammies, so these cakes will be a great change up. That they are gluten free just makes them that much better! This looks super awesome. Totally up my alley. I bet these can also be frozen and consumed later to make even more! Sounds like a great recipe to have on hand Julie. 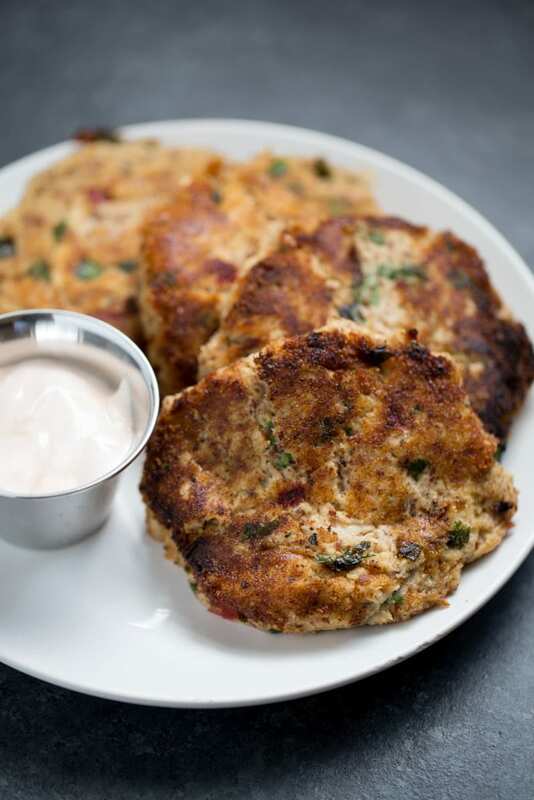 We like crab cakes so I know we would love these! This looks like such an easy protein packed little dish. LOVE that they are so easy to make. If you add extra spices and follow the recipe it makes great tuna meat for lettuce wraps but definitely NOT patties. It needs something to hold them together otherwise they just fall apart… Kinda disappointing. Great idea but it didn’t really work. I was hyped up by the comments on how easy it was and how good it was but it did not turn out that way. This was my first-time trial to cook this. The results were good. It was easy to prepare. Now that it was my first time, I know I will do it more perfectly the second time. I will cook again soon. I highly recommend this recipe to first timers. Do it right the first time with this recipe. These tuna cakes are very delicious. My kids will love it :) . Thanks for your sharing :). Is there an egg missing or something? The flavor was good but they were tuna crumbles and didn’t remotely hold together… Disappointing!